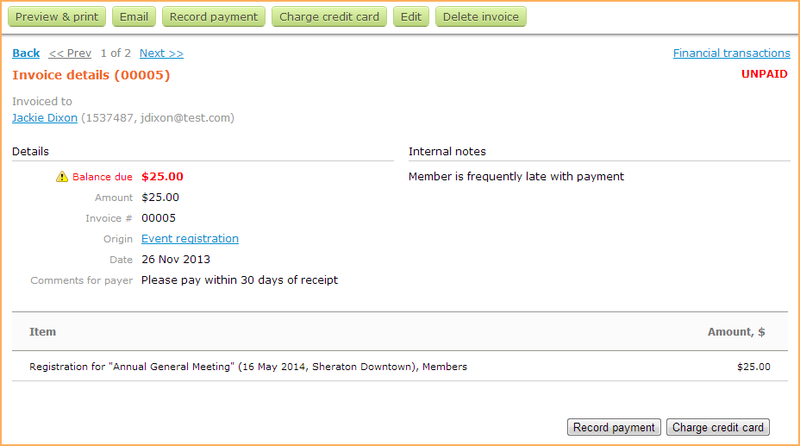 To view a list of your invoices, hover over the Finances menu and select the Invoices option. 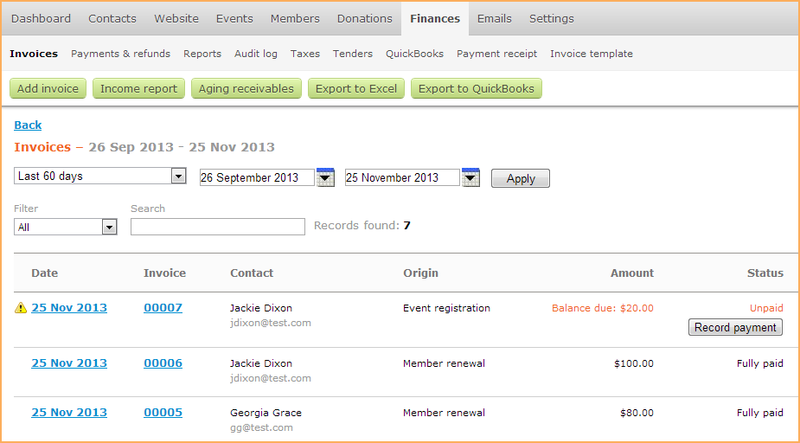 If you are already on a different tab within the Finances module, click the Invoices tab. Deleted invoices are not shown in the list. You can find deleted invoices in the audit log by performing keyword searches on invoice numbers. Each invoice has a balance – total amount of the invoice minus all the payments settled to it. If an invoice has a zero balance, it will be marked as fully paid. The Origin field indicates whether it is a manual invoice (one not automatically generated by transactions on the site) or an automated invoice related to an online transaction (e.g. membership application, event registration). For information on setting invoice numbers and controlling the emailing of invoices, see Customizing invoices. You can search the invoice list in a number of ways. You can select a predefined date range or set one of your own. You can select one of the predefined filters. For example, if you select the With open balance filter, it will show all outstanding invoices. You can perform a keyword search. For example, you could type in a member's name to see the list of all corresponding invoices for this member, or enter an invoice number to view a particular invoice. To view the details of a particular invoice, click it within the invoice list. From the invoice details, you can record and settle the payment for any invoice with an open balance by clicking the Record payment button, either from the invoice details or the invoice list. You can also print or email the invoice to the contact. A record of all invoice edits and deletions can be found in the audit log. 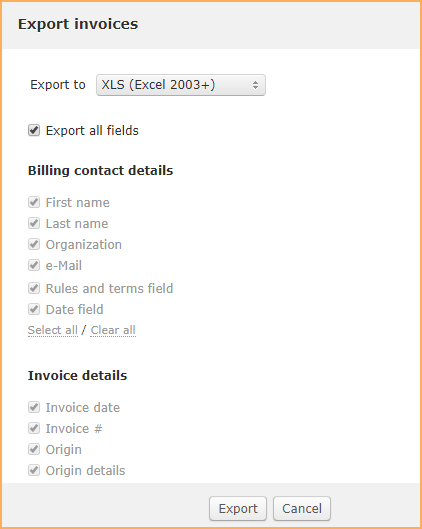 You can export your invoices – as they appear on your invoices list – to a spreadsheet file. 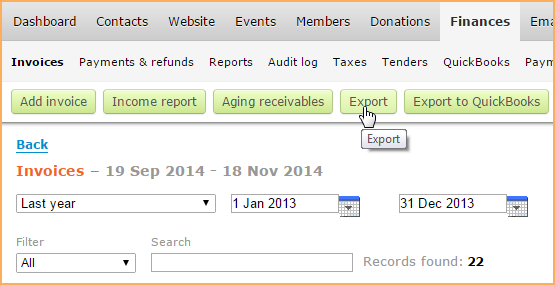 You can also export your invoices and other financial data to QuickBooks. Filter your invoices list to display only those invoices you want to export.